at the 66th Avenue E. Bridge. 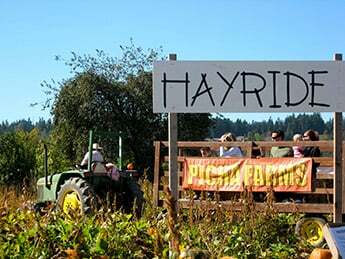 Note: Hayride and kiddie train are available weekends only until October 11. Rides will be offered daily, beginning October 12. 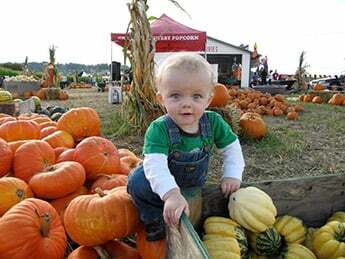 We're proud to announce that Picha Farms was recently selected one of the 10 Best Pumpkin Picking Spots in Washington State by Best of AmericanTowns, a property of AmericanTowns Media! 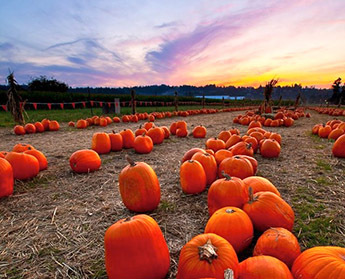 Wander the fields and pick your perfect pumpkin. 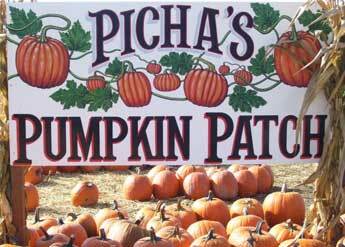 Fields are muddy, so wear appropriate shoes/rain boots so you can enjoy everything our patch has to offer. 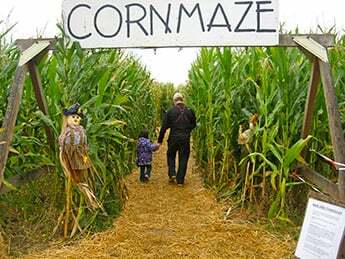 Stroll through our five acre corn maze. Your mission? 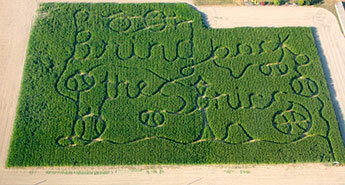 Find the answers to eight trivia questions hidden throughout the maze. 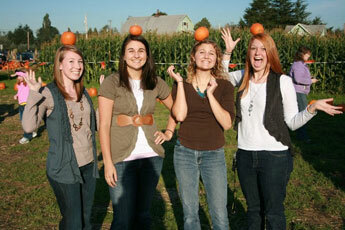 If you can find all eight, you win a prize! 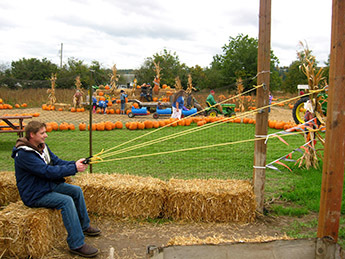 Try your hand at the best slingshot in the Puyallup Valley. 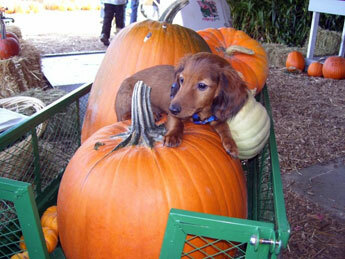 Hit the target and win 15 pounds of free pumpkin! 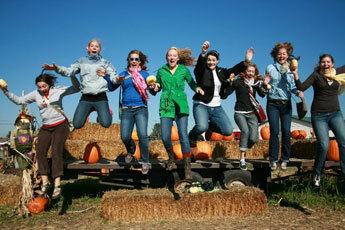 Relax and enjoy a weekend hayride as you meander through the fields of pumpkins. Opens daily beginning Friday, October 12. Celebrate a birthday. Host a team gathering. Just email us to reserve a picnic table under our canopy. 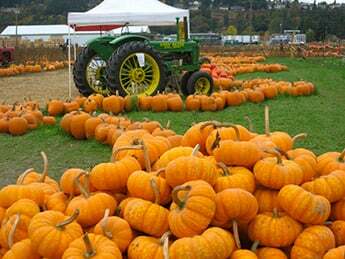 And, before you leave, remember to stock up on gourds, cornstalks and squash. Weekdays: 3 to 6pm. Weekends: 10am to 6pm. Debit & Credit available. Cash & Checks also welcome. 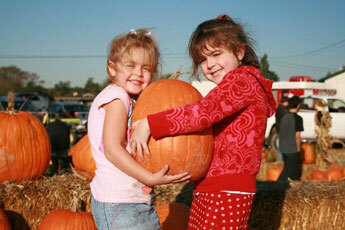 To ensure a positive pumpkin patch experience, please don't leave valuables in your car during your visit.